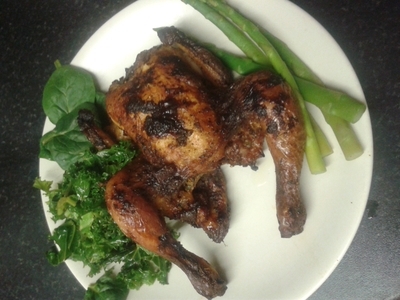 Give your kids a meal worth waiting for - poussin and gourmet greens. 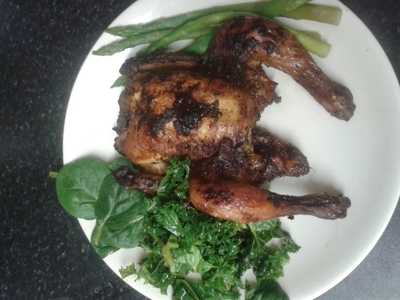 Poussin are baby chickens and make for a brilliant main at meal times. They're smaller chickens, but there's enough meat on them to be shared. 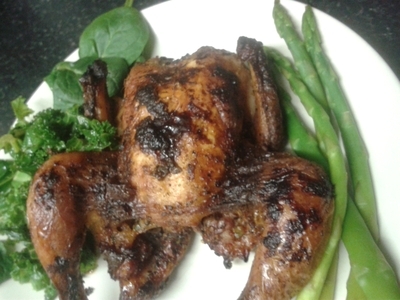 Follow my recipe, and enjoy the refined way of eating the rather familiar chicken. 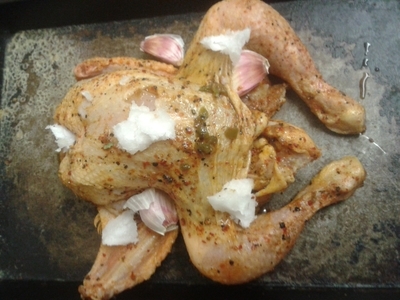 Rub the seasoning all over the poussin and place on a baking tray. Add the coconut oil around the meat and add the garlic cloves. 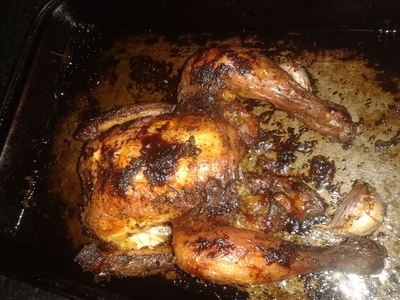 Place the poussin in the oven for 1 hour at 175 degrees/gas mark 4. 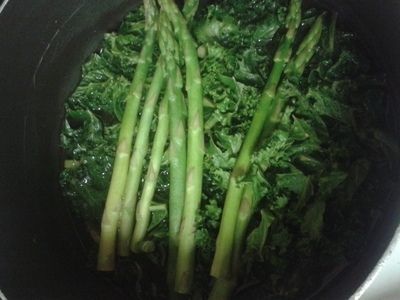 Wash the vegetables and place in a saucepan of boiling water and simmer for 10 minutes. Turn the meat over after 20 minutes. After an hour remove the meat from the oven. 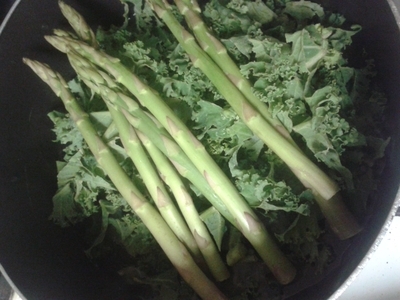 Drain the vegetables in a colander and remove from the pan. 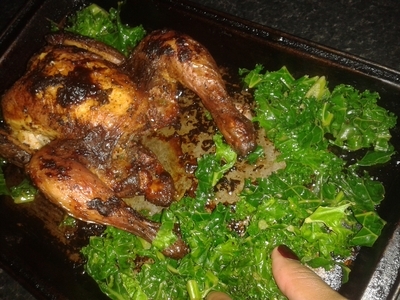 Place the kale at the bottom of the roasting tray and rub into the oils. Ideal as a meal to share between two five year olds, or one meal for older children.